Women’s Advocates has a staff of 30 full-time and part-time family advocates, facilities staff, children’s program staff, administrative staff, and aftercare and outreach staff. 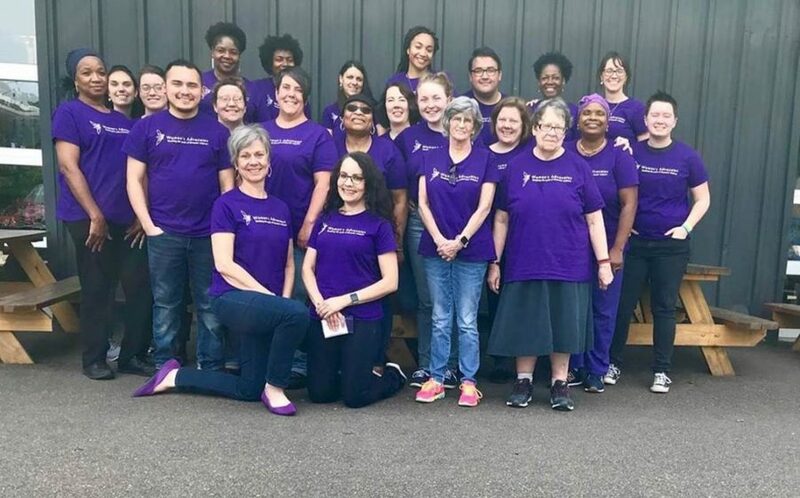 Team members each bring their experiences in victim-centered service, human services, systems, facilities, and outreach to carry the mission of Women’s Advocates forward to help people to have safer lives. To reach someone by phone, call the Main Office Line at 651-227-9966.